After tying frantically last year, my boxes are all pretty full of flies I’m relatively confident with. However, I don’t have a lot of options for early season (February & March) when the water is still cold and the trout haven’t started to feed on nymphs. A few recent new additions from Flybox grabbed my attention so I ordered some kit and got the vice out. This material is a type of organza in a ribbon style with a solid edge. 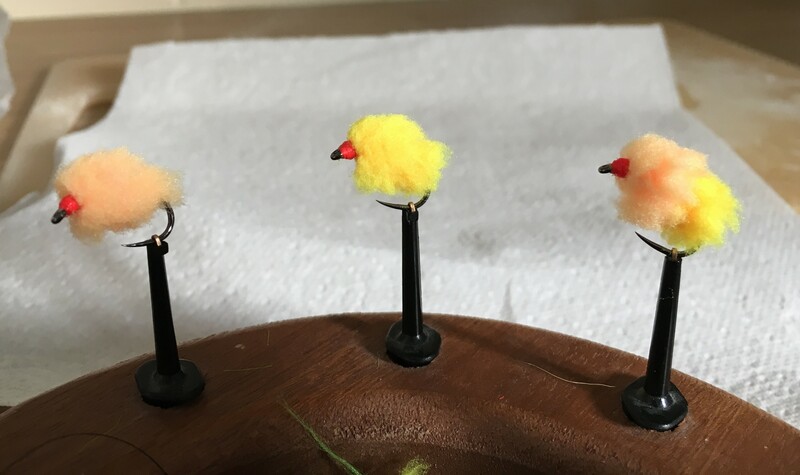 It looked ideally suited to tying ribs on lures, cormorants and diawl bachs with the smaller fibres creating a small hackle effect down the fly. 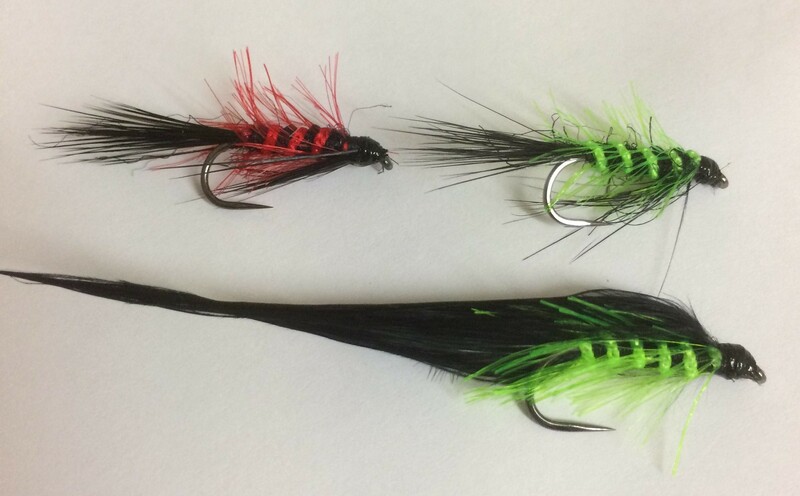 In keeping with the early season theme, I tied a couple of black and greens and a black and red option. The black and green accounted for half a dozen fish over two sessions at Farmoor recently, including in the Bank Masters competition. Now, I’m not one for having fly boxes full of brightly coloured lures: I prefer to fish with natural, imitative flies. 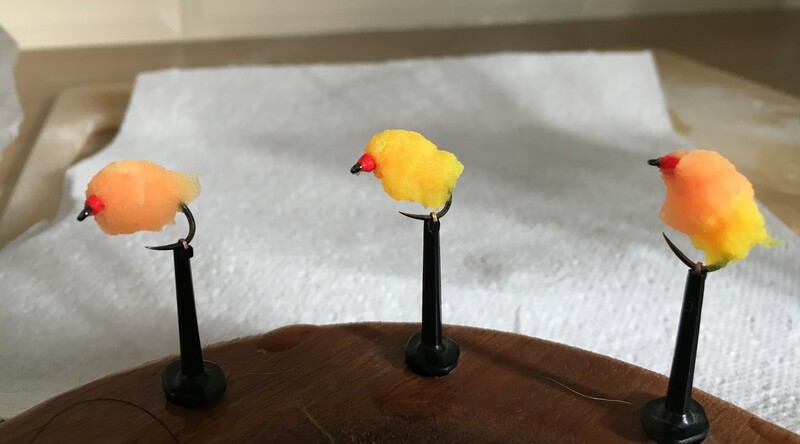 However, there are times when you need something a little different and a strategic blob has caught me fish in difficult conditions, particularly early season, in hot conditions or when the fish are being a little picky. Flyboxes new Eggstacy seemed like an interesting material to tie-up a few blobs. Its very simple to use and has an intriguing colour change and almost jelly-like look when wet. Haven’t had chance to try these out yet but I will report back when I’ve given them a swim.